Duane Woodward Dresser, age 86, passed away peacefully in Greenville, Delaware on April 25, 2015, surrounded by his loving family. Duane was born in Glendale, California October 26, 1928, the fourth son of William and Winifred Trotter Dresser. 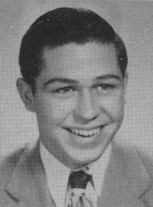 Duane grew up in South Pasadena where he attended its public schools graduating from South Pasadena High School in 1946. Duane attended the University of California at Berkeley where he was a member of Sigma Alpha Epsilon fraternity and the Naval ROTC. Upon receiving his Bachelor of Science degree in 1950, he was also commissioned as an Ensign in the US Navy. His subsequent three years of naval service took him to Japan and Korea during the Korean War. Upon release from active naval service Duane enrolled in University of California's Hastings College of Law from which he graduated in 1956 with a Doctor of Laws degree. After a year as a law clerk for the California Supreme Court, Duane practiced law in San Francisco for 45 years until he retired in 2002. In 1955 Duane married Lois Gagnebin and they lived in San Mateo County from 1957 until moving to Delaware in 2012. Duane was an active member of the Episcopal Church of St. Matthew, the Peninsula Tennis Club, the UC Berkeley Alumni Club of the Peninsula, and the UC Berkeley NROTC alumni. He was predeceased by his parents and by his brothers William (SPHS '38) and Robert (SPHS '41). He is survived by his wife, his brother John (SPHS '40), and his children, Duane W Dresser, Jr., Dr Lee Potter Dresser, and Martha Dresser Irons, five grandsons and one granddaughter.